The dates of the four phases of the Battle of Britain are contested by some, and have been inserted in brackets only as a guideline. The order is given by Reichsmarschall Hermann Göering, head of the Luftwaffe, to draw the RAF into battle. Attacks are to be focused on coastal convoys, radar stations along the south coast, aircraft factories and RAF airfields. The Kanalkampf: the German air force began running fights over convoys in the Channel, occasionally dive-bombing cargo ships. The aim was partly simply to be proactive, partly to give pilots training and partly for reconnaissance of British defences. Protecting the convoys took a huge toll on British resources and on the pilots, and led to the convoys being re-routed to avoid the Channel. Attacks on convoys continued until 12 August. The Luftwaffe began laying mines around Britain. This would continue until early September. Germany began their main raids across Britain, codenamed Adlerangriff (‘Eagle Attack’). This was a systematic assault on radar stations and forward fighter airfields. Adlertag, (‘Eagle Day’), was delayed until the 13th by bad weather. It opened with a series of attacks on coastal airfields used as forward landing grounds for the RAF fighters and progressed further inland during the week that followed, as well as making repeated attacks on the radar chain. ‘The Greatest Day’, otherwise known as ‘Black Thursday’ for the Luftwaffe. The greatest number of attacks of the Battle occurred on the 15th and 16th, concentrating on airfields: the RAF flew a total of 974 sorties and the Luftwaffe 1,786. Germany lost 75 planes to the RAF’s 30 – heavy casualties meant that this was to be the last outing of strength for Luftflotte 5 division. Both sides saw their greatest losses of the Battle of Britain: for that, this day became known as ‘The Hardest Day’. The losses of the Germans’ Junkers 87 ‘Stuka’ – the main Luftwaffe precision-bombing weapon – were so severe that Göring withdrew them from the battle. Airfields in the South and South-East were bombed, with Kenley particularly badly damaged. Between August 8 and the 18 the RAF had lost 175 aircraft, and the Luftwaffe 332. Attacks began in earnest on aircraft factories. 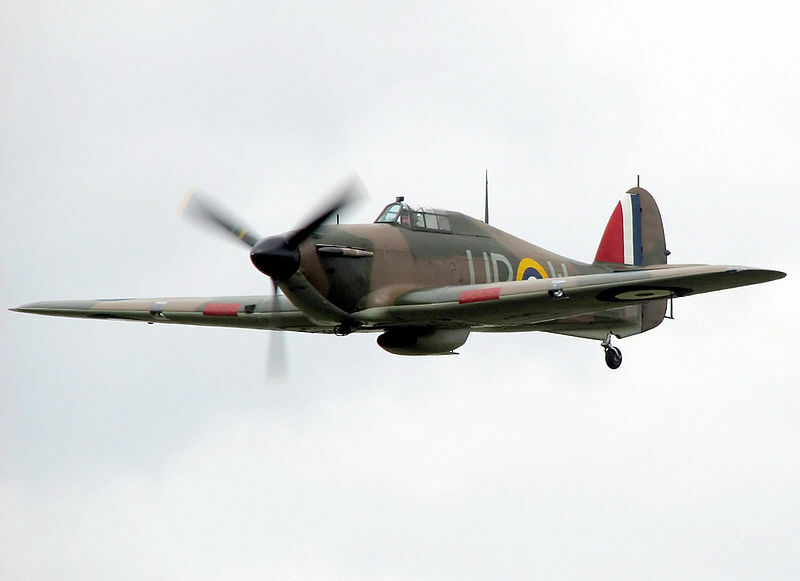 Attacks were ordered on RAF airfields. Bombs were dropped over residential areas of London – some maintain mistakenly. Heavy night-time bombing raids continued until 15 September and to a lesser extent for several years. After a lull forced by bad weather, and left with limited numbers of bombers, German tactics changed. Attacks were concentrated on the South-East, particularly airfields, and on knocking out Fighter Command. Fighting was now primarily between 11 Group and Luftflotte 2. Fighter Command suffered its heaviest losses to date: Debden airfield was hit by 100 bombs. Six out of the seven main bases in South-East England had been heavily damaged, in some cases badly enough to severely restrict efficiency. The assault was switched to massed attacks on London, major cities, aircraft factories and other strategic targets. Nearly 400 bombers and more than 600 fighters targeted the docks in the East End of London, day and night. The Luftwaffe switched to night bombing to avoid the large numbers of fighters countering day raids. A massive attack on London saw inaccurate bombing due to the determined defence put up by RAF fighters – every single aircraft of 11 Group was used. The Germans suffered their highest losses since 18 August, forcing a reconsideration of tactics; this day was subsequently chosen as Battle of Britain Day. From this point the Luftwaffe were forced to gradually scale down their attacks. The German land invasion, Unternehmen Seelöwe (‘Operation Sea Lion’), was called off until further notice, never to take place. The last great effort of the German bombers: five raids were planned. One heading for London was engaged at 11am; a second was intercepted and 12 fighter bombers shot down. Three raids totalling 112 fighter-bombers attacked Portsmouth. Raids petered out as the weather worsened. Bombing of London had continued, and would continue, from September for several years. However this day is generally regarded as the final day of the Battle of Britain, and October the month in which regular bombing of Britain ceased. Thank you for making this! Much appreciated. Thanks for this it helped me do great on my assignment! Whoever wrote this is so smart and keep up the good work! I love you with all my heart and ears and glasses and clothes and pet elephant! I just love you so much!